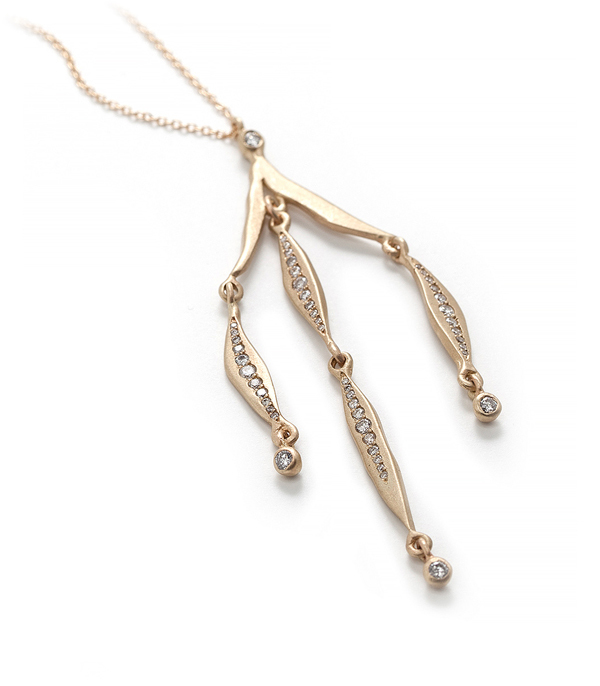 Elegant and graceful, this cascading leaves 14K gold pendant sways with your every move. A graduated line of diamonds (0.62ctw) and dangling diamond pods add a glimmer of shine to this dramatic piece. Statement making in every way! Pendant hangs from tiny cable chain necklace. It would be the perfect wedding jewel for a natural beauty bride who loves alternative accessories!